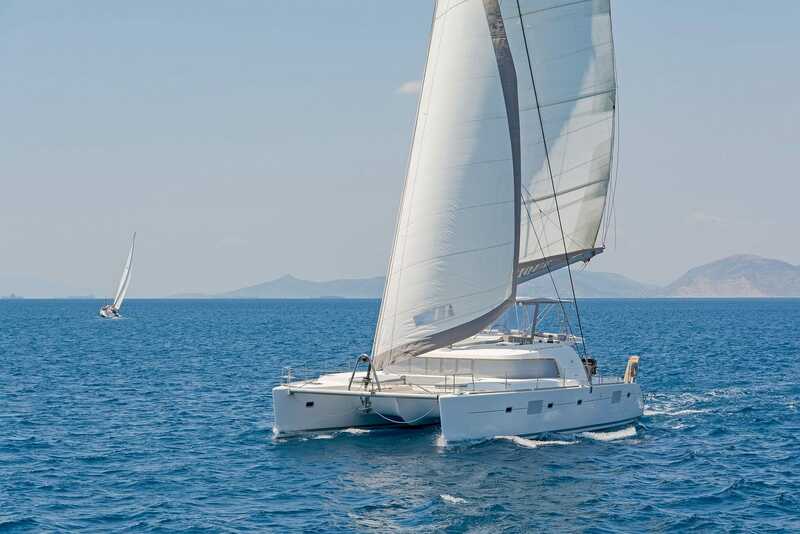 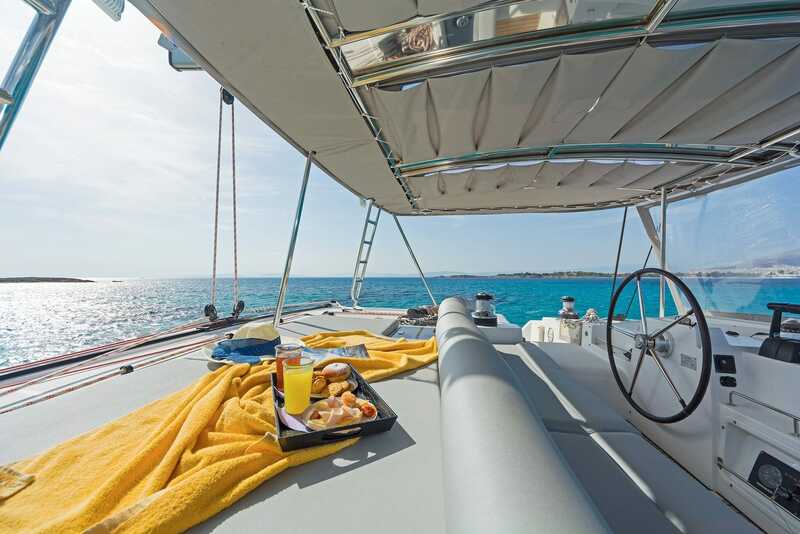 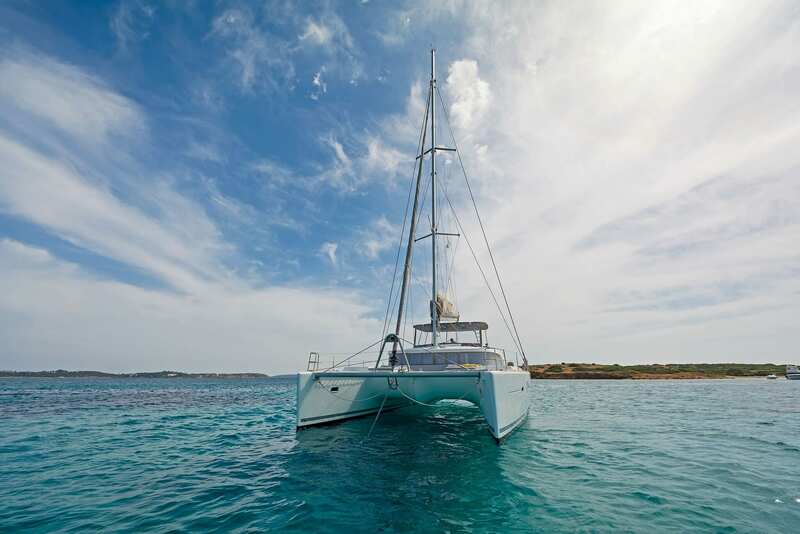 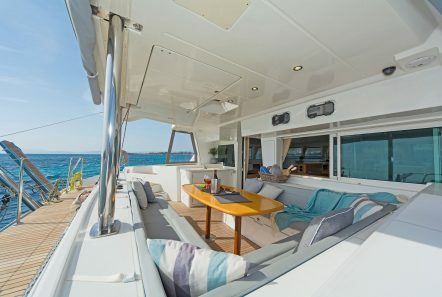 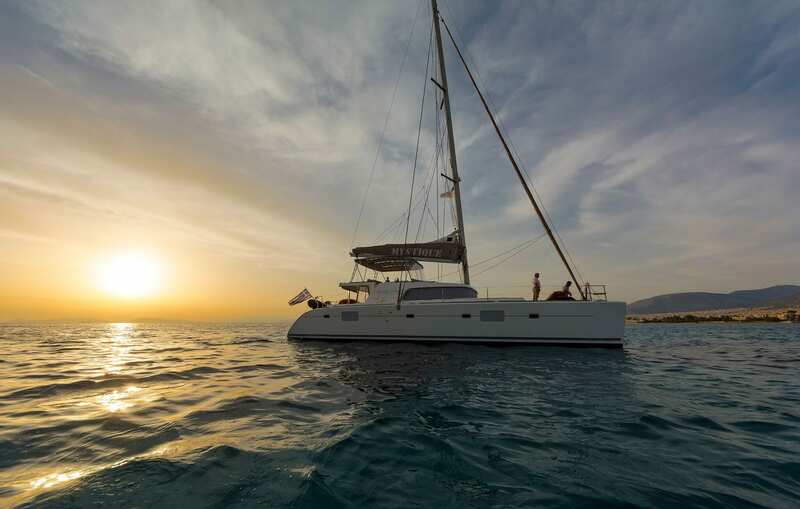 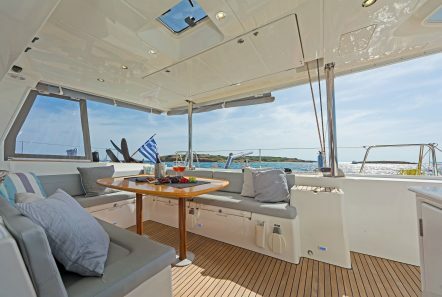 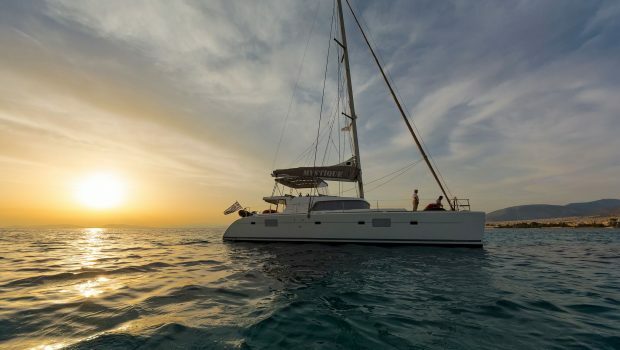 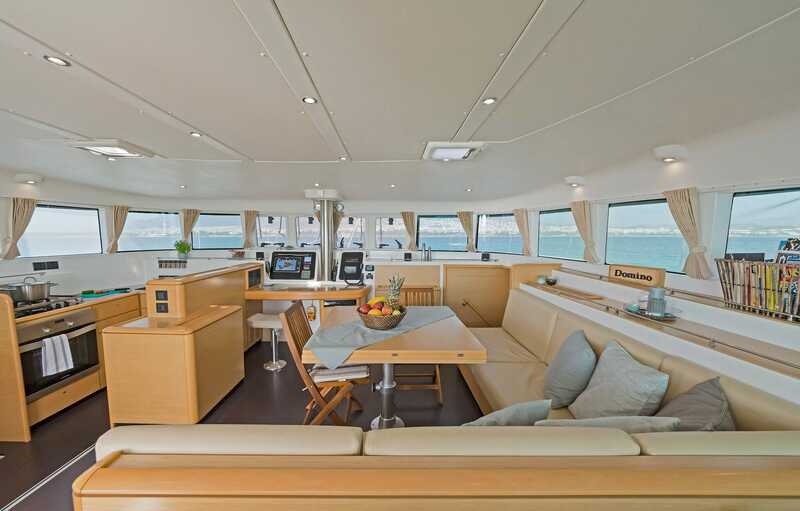 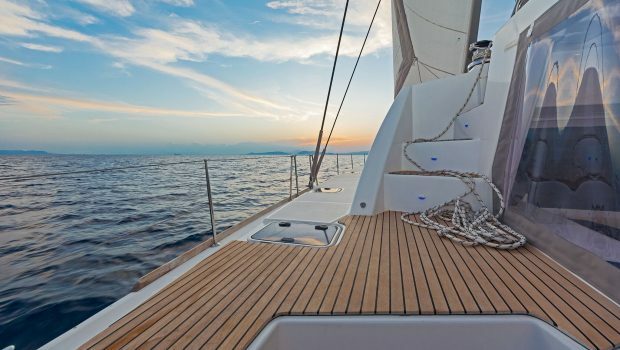 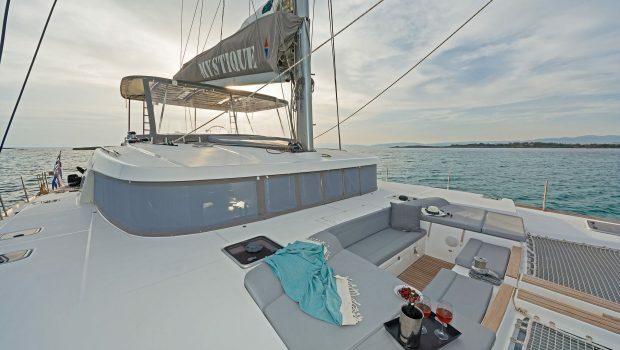 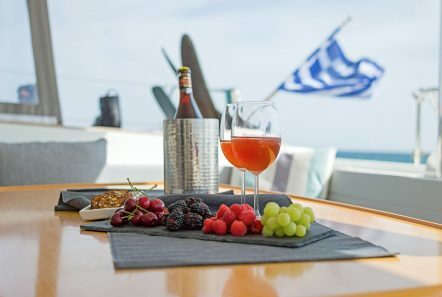 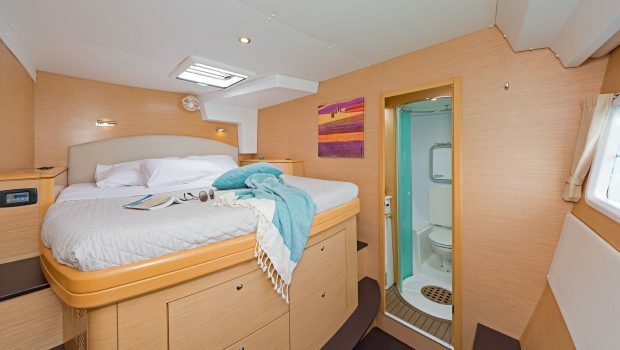 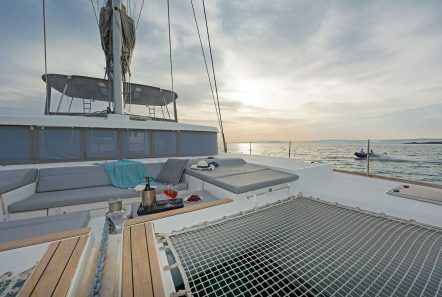 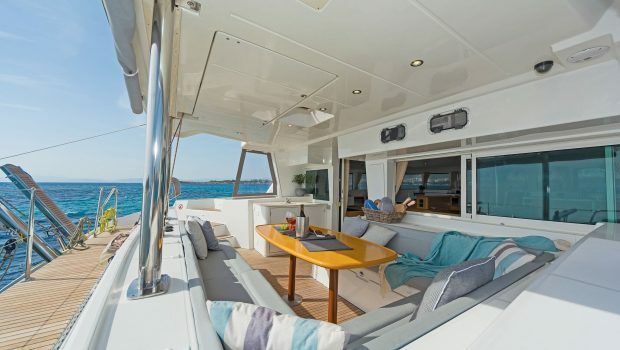 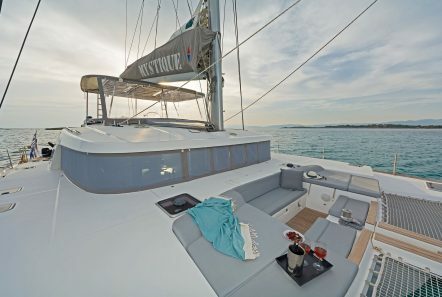 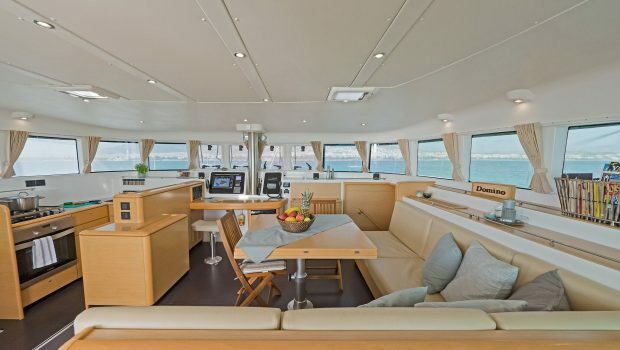 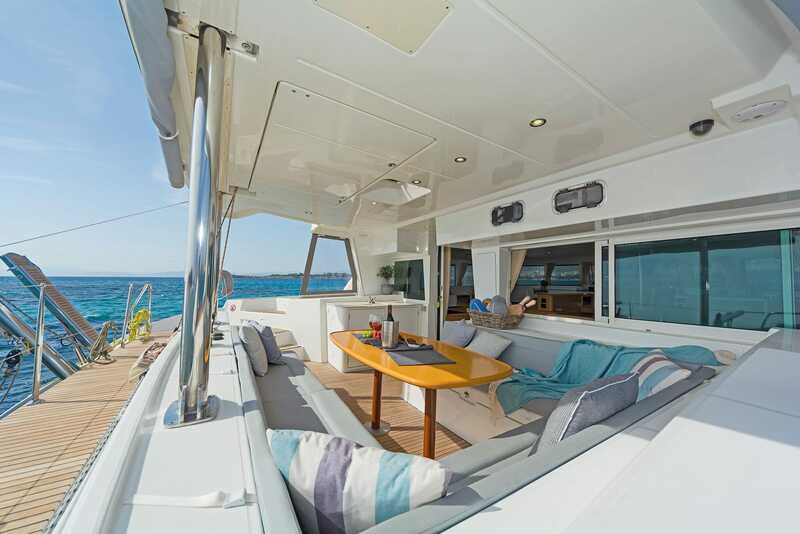 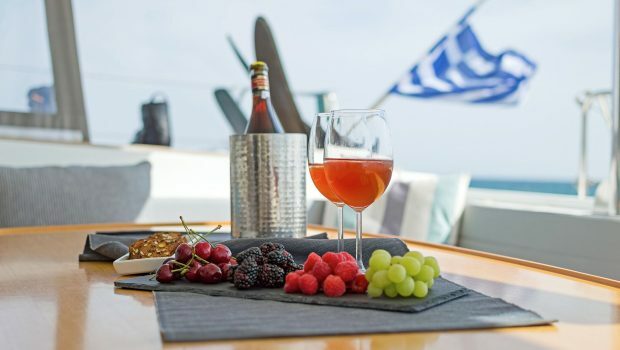 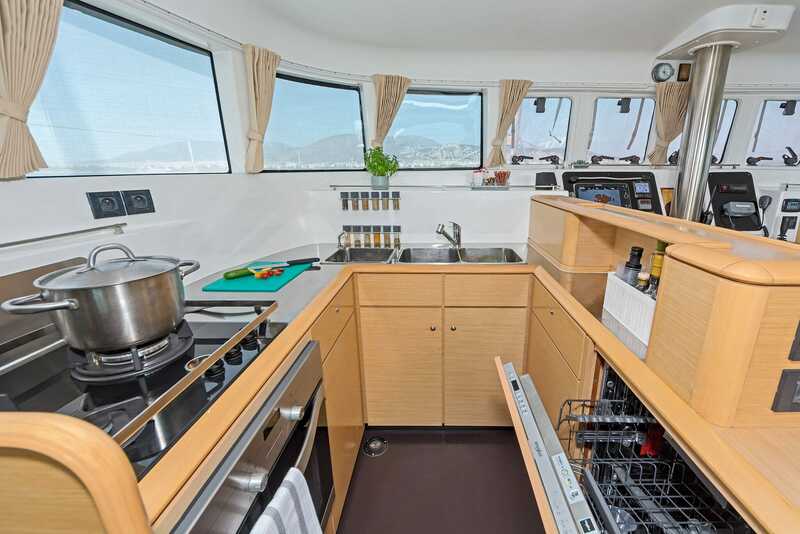 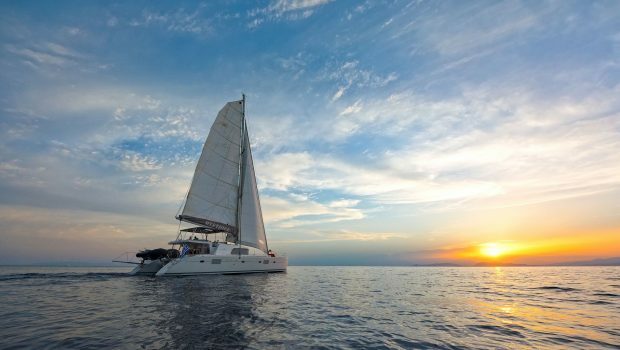 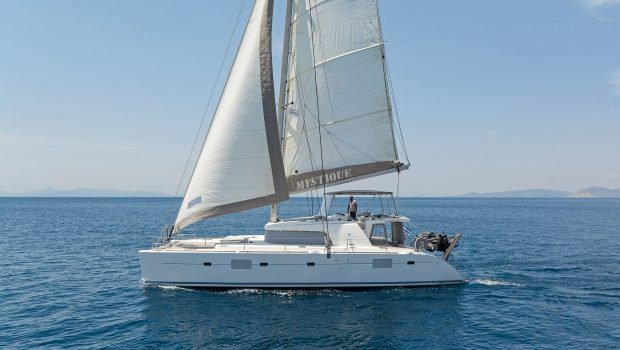 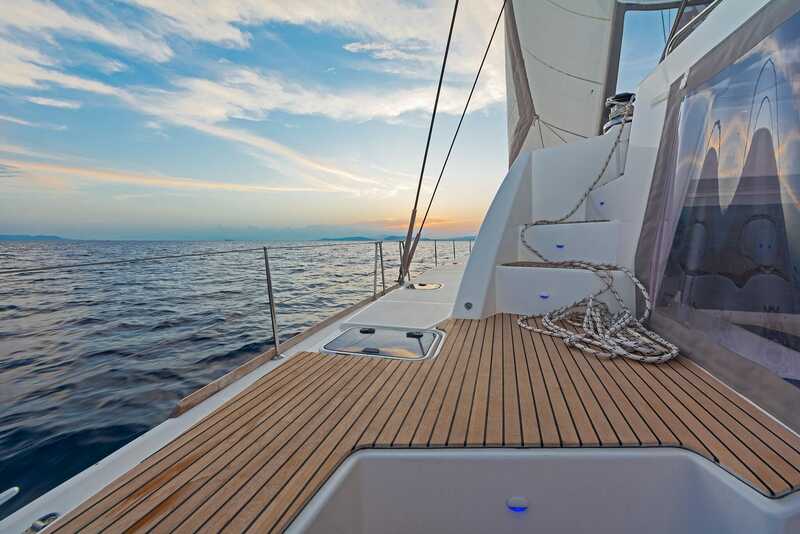 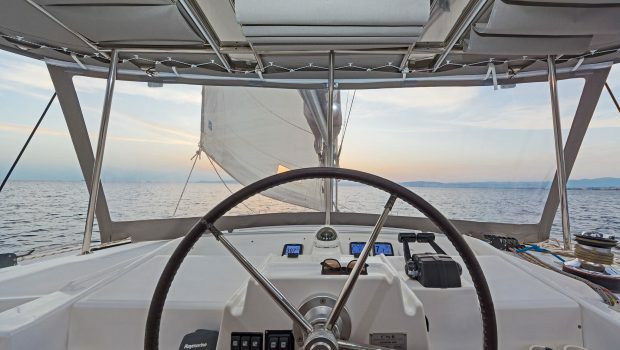 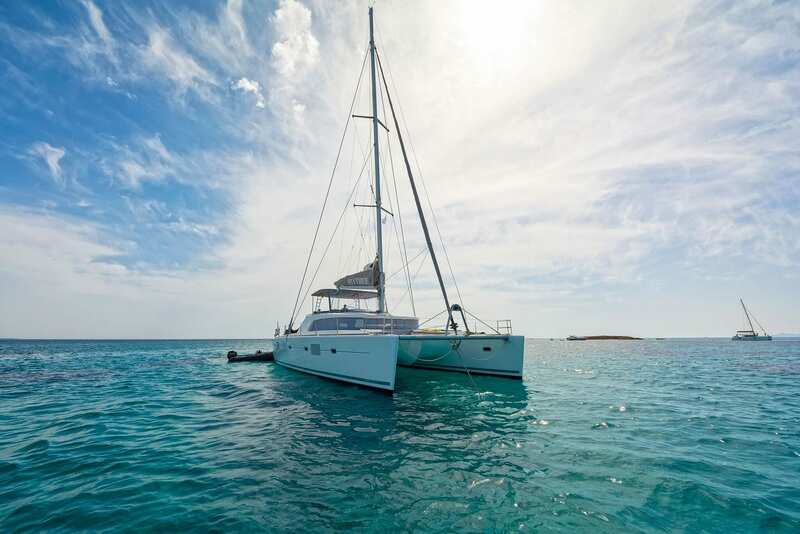 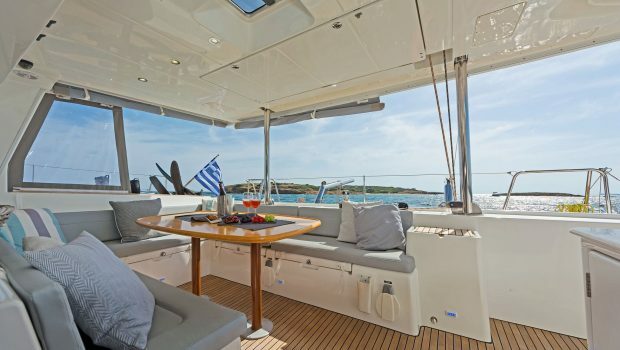 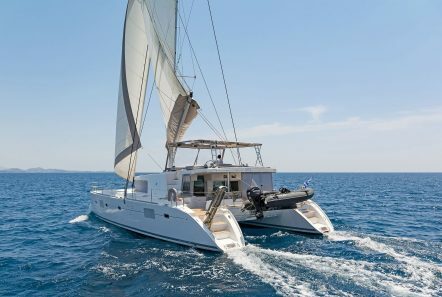 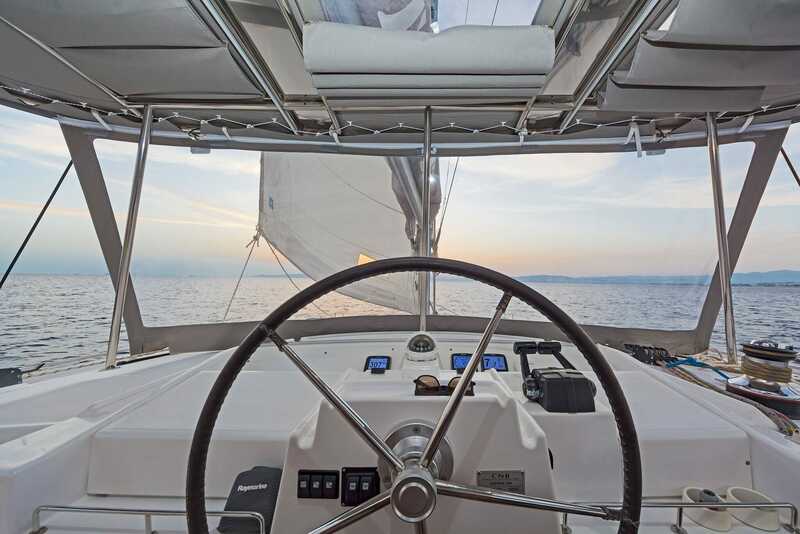 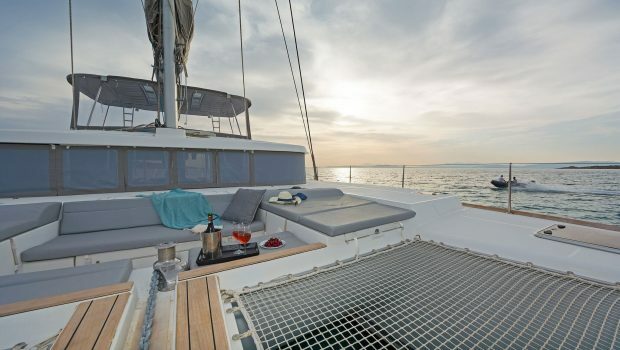 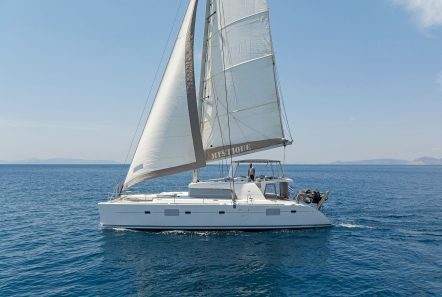 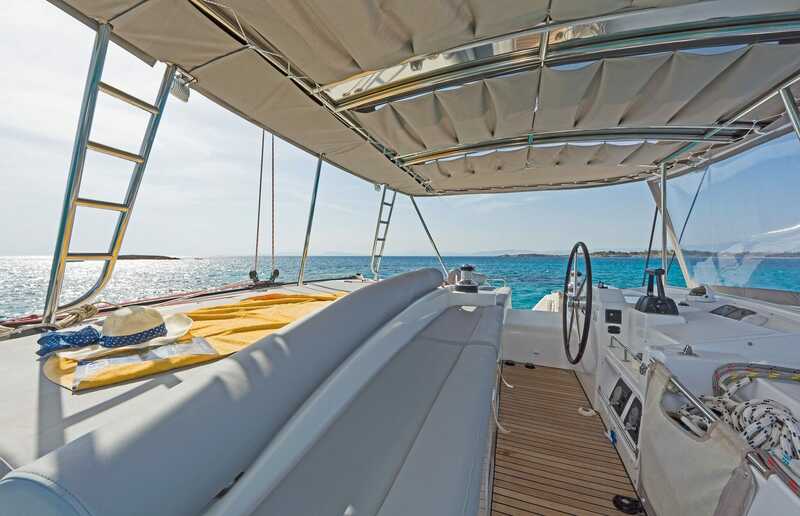 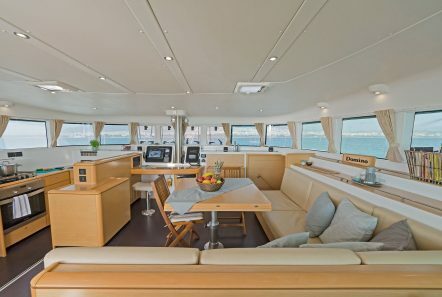 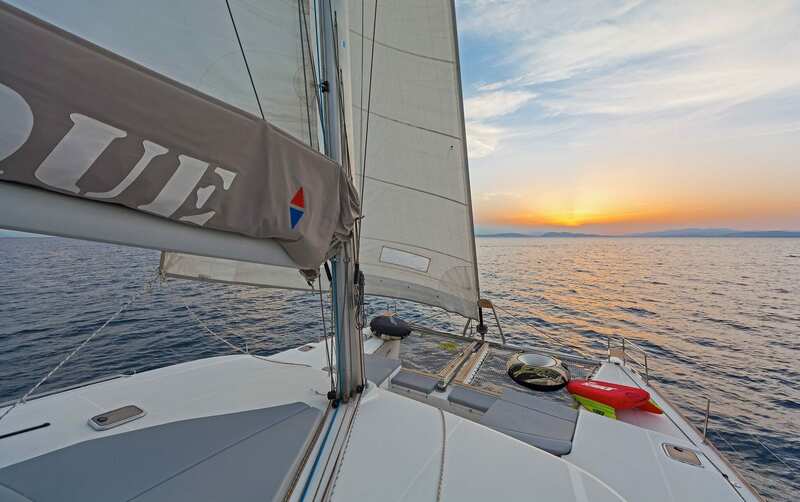 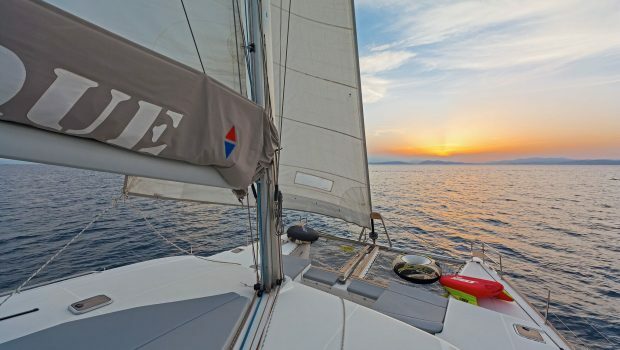 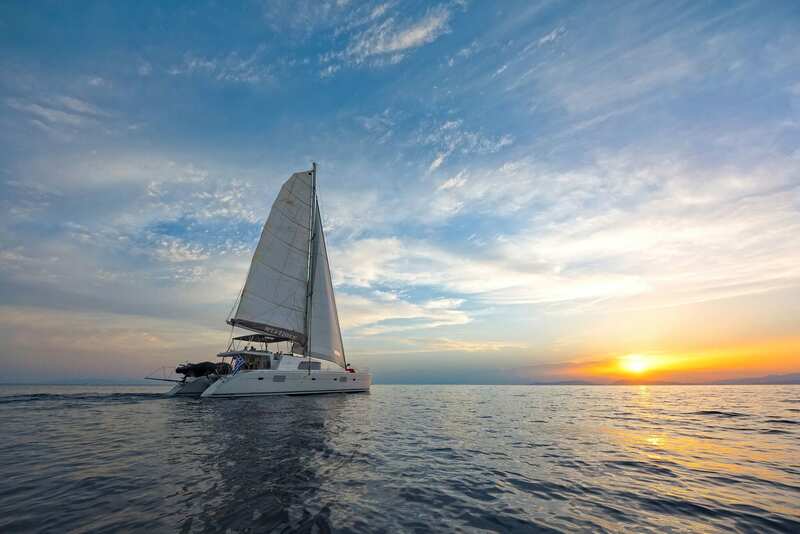 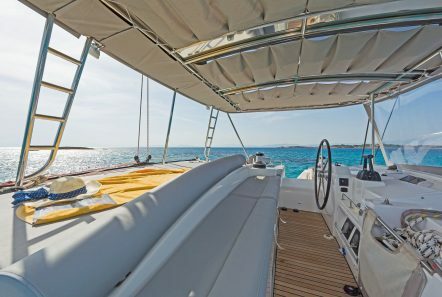 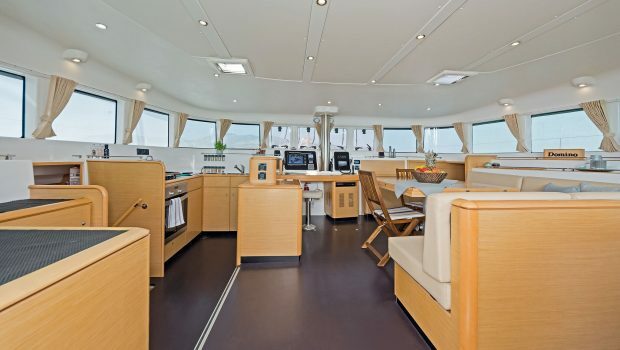 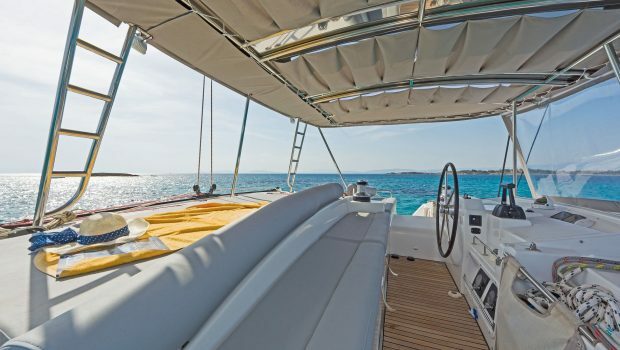 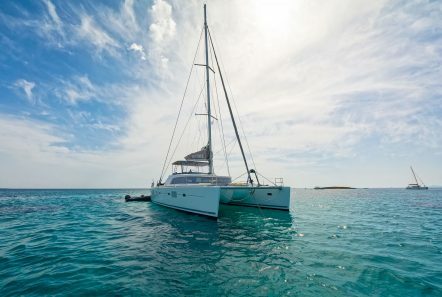 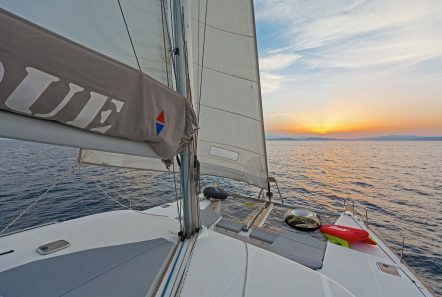 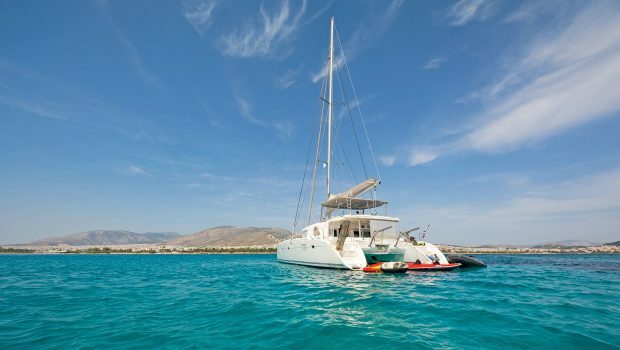 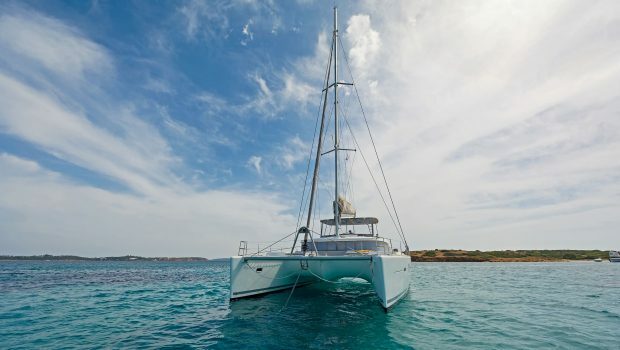 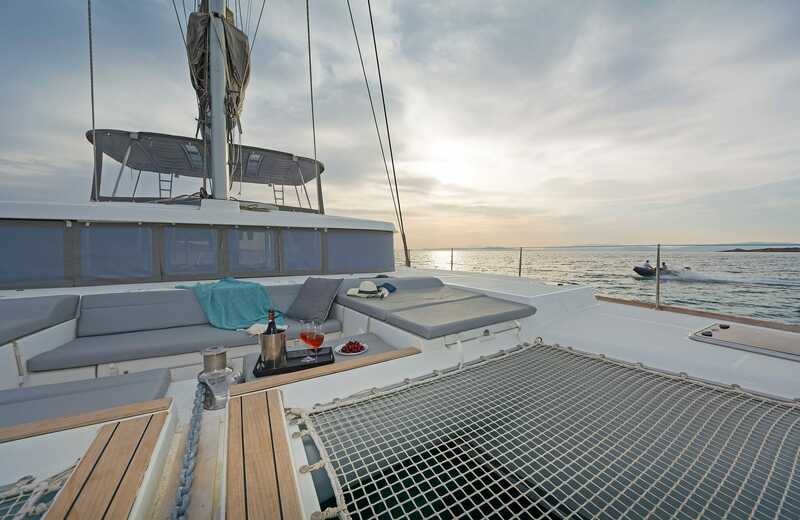 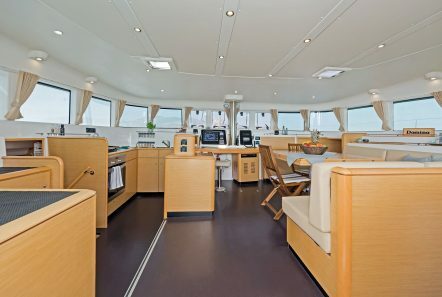 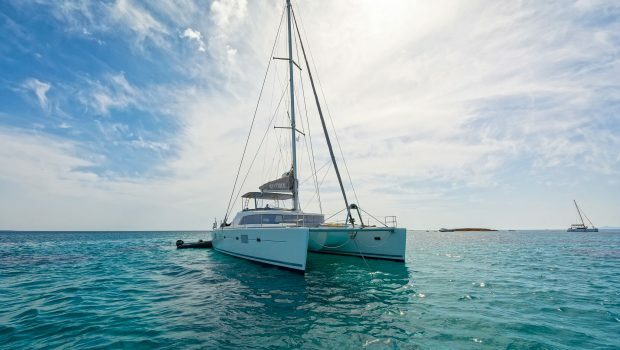 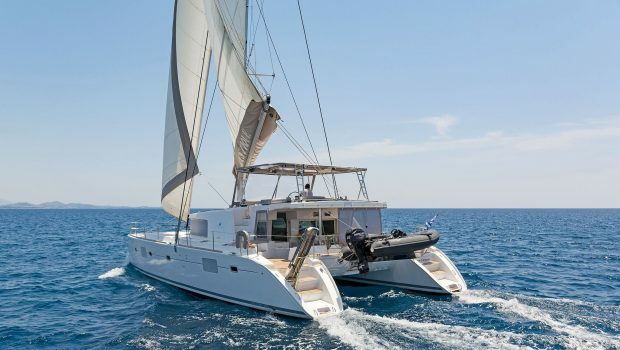 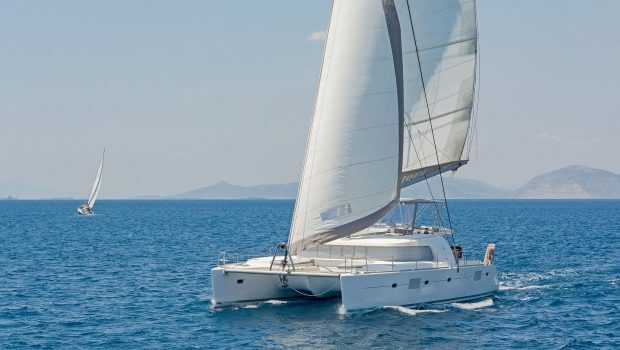 The Lagoon 500 MYSTIQUE is ideal for the perfect catamaran holiday. 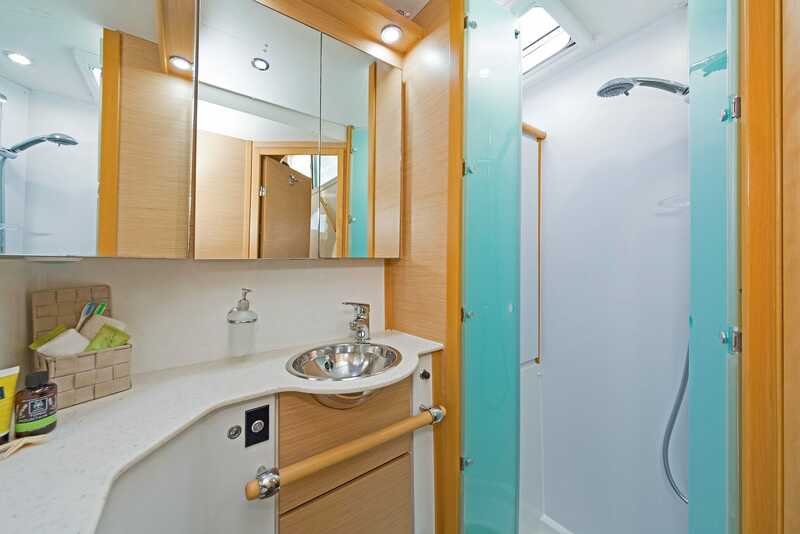 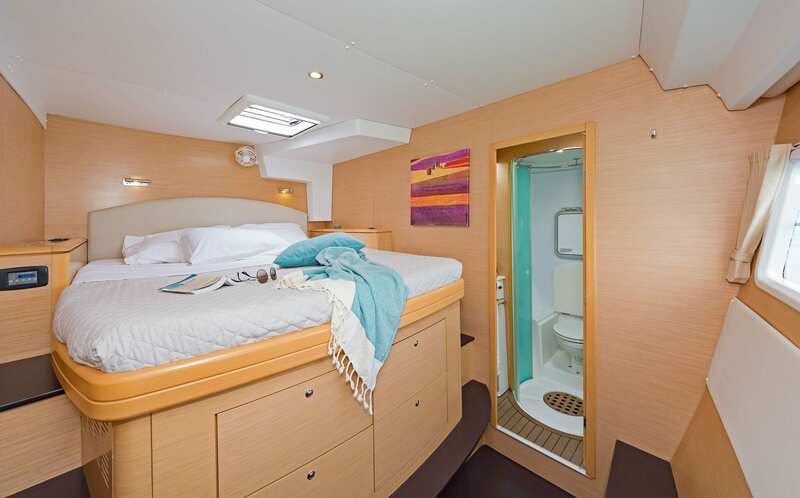 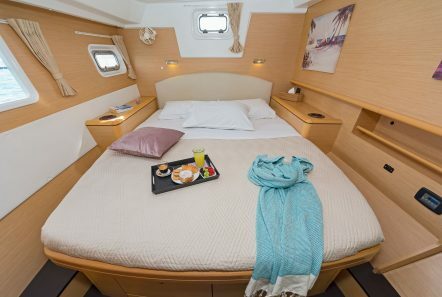 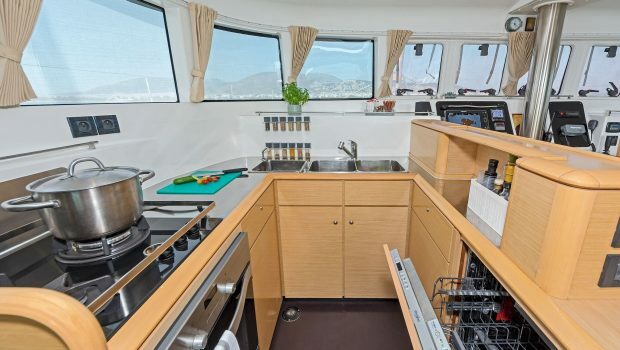 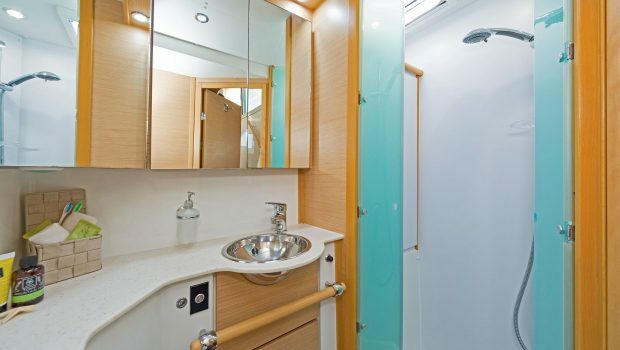 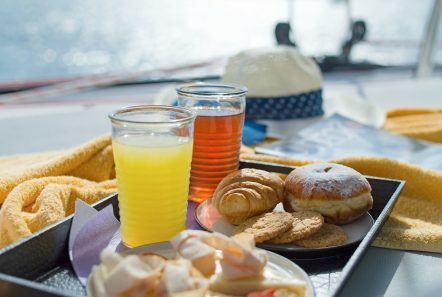 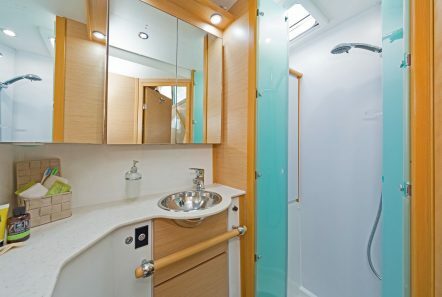 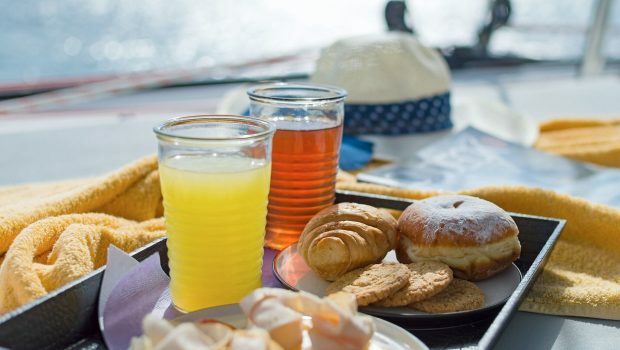 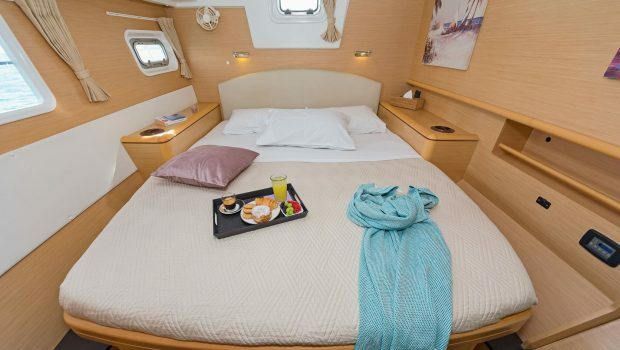 She accommodates ten passengers in five cabins; four with double beds and a fifth cabin with upper and lower twin berths all with facilities en suite. 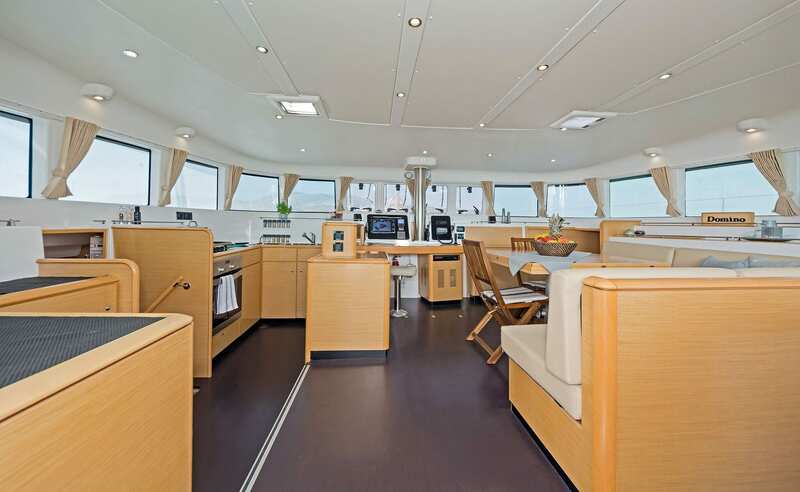 The salon and indoor dining area are comfortable and cozy, perfect for casual relaxing. 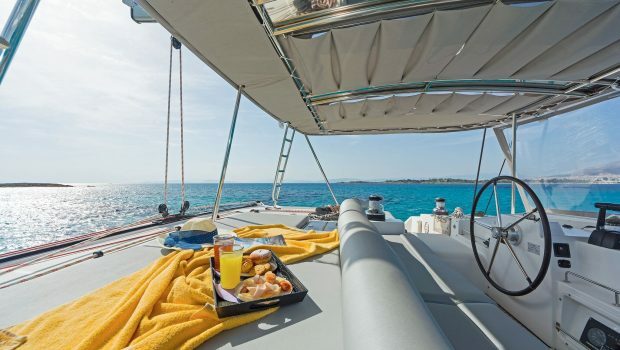 Outdoors, there is a lovely dining area where meals can be had al fresco. 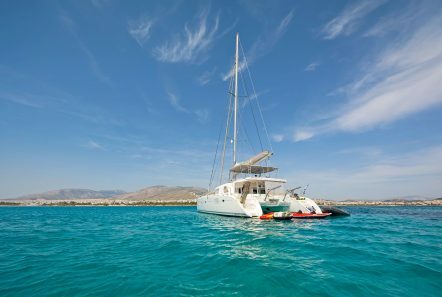 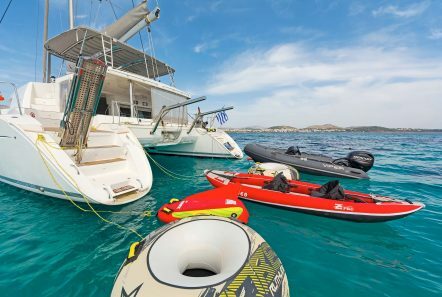 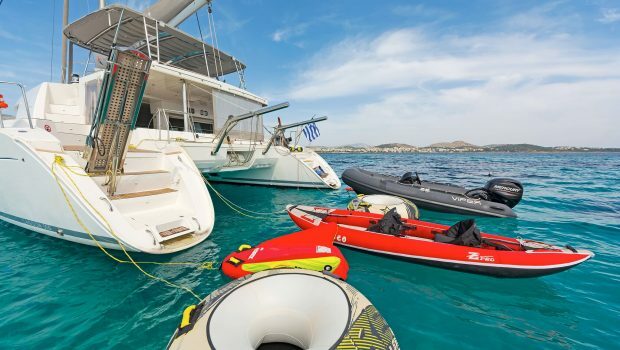 There are many sea toys aboard for enjoying the beautiful blue waters of Greece.